DHL Parcel delivers to companies and consumers throughout Europe. Are you looking for a reliable ally to send your products? DHL Parcel is the party. 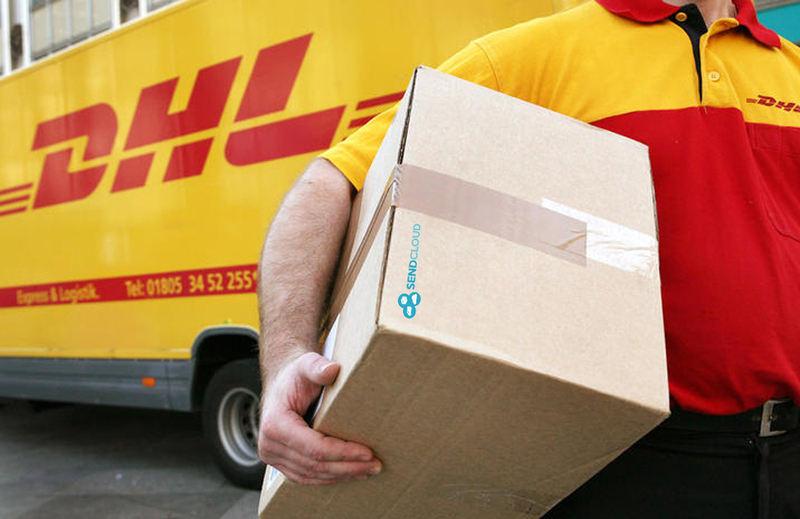 With DHL you can hand in your parcels to private addresses at one of the 1900 service points. Requesting a collection is possible from 100 shipments per month, with this you are able to send with the private and business network of DHL. You can hand in your parcels at a DHL parcelshop for this you choose DHLForYou Drop-Off, you send under the same conditions as the regular DHLForYou shipments. Mailbox parcels can also be handed in at a parcelshop for this you use DHLForYou Letterbox Drop-Off. Pay attention! Your shipment is weighed in two ways: the actual weight and the volume weight. The higher of the two counts as a weight for your shipment. The volume weight is calculated on the basis of the dimensions (lxwxh in cm / 4,000). All above shipping options are excluded of insurance. You obviously assume that your packages are delivered in good condition, the carrier also does its utmost to achieve this. There is always a chance of damage or loss. In order to provide our customers with the best possible support, you can use our inexpensive and fast SendCloud Insurance. Via this DHL service they also deliver now internationally to B2C instead of only B2B with the Europlus network. As soon as you use DHL Parcel Connect and collection points are possible, these will automatically be processed in your pick-up point picker. 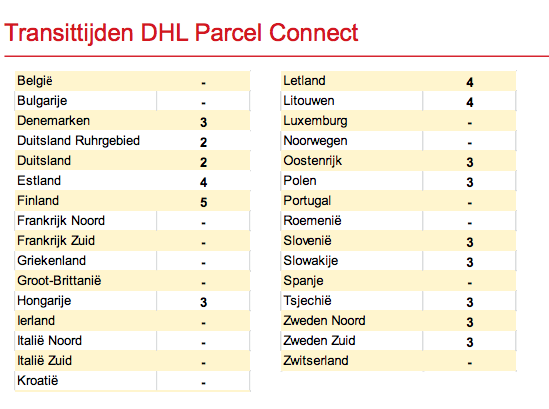 DHL Parcel Connect can be used with a fixed pick-up and via DHL Drop-off points. The table below shows the transit times.